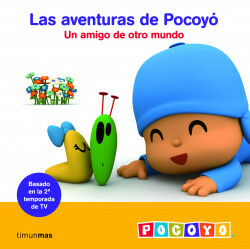 Pocoyo is a cute and funny little boy with a huge curiosity towards the world around him. His stories are simple and fun, the colours are basic and cheer. Everything is thought to entertain and amuse the child. This is a new series of tales based on the TV chapters.